It is terribly tempting to continue talking about games that have few redeeming qualities other than cute girls with glasses, but I do occasionally break out of my rut and play something that, well, you could have out on the coffee table with your mum over and not feel too embarrassed about. That’s not to say that the internet hasn’t done horrible horrible things to Valve’s creation. It does, after all, feature a female lead, and a google image search of “portal 2 rule 34” shows that some people have devoted significant time and thought to the more salacious possibilities of portals. I did have to look up how to spell “salacious”, but it turned out that I’d gotten it right the first time. Of course, the only reason I know the word at all is that it was the name, or part of the name, of Jabba’s pet in “Return of the Jedi”. I don’t have a word of the day calendar or anything. I do have a birthday coming up soon, but calendars aren’t traditional June gifts. Oh, yes, Portal 2. The original Portal was the second-best game of 2007, the top spot being occupied by Brave Story: New Traveler, an assertion which I make knowing full well that it will draw the ire of anyone who actually reads this, though of course I don’t really have many readers and thus I should be fairly safe. It was, and here we’re back to Portal, almost an afterthought, stuck into the Orange Box with a sort of “look, you’re getting this free with the Half Lifes and the Team Fortress, don’t complain that it’s only 4 hours long” attitude, and it of course destroyed the internet, becoming a memetic force strong enough to rival cats and cheeseburgers. 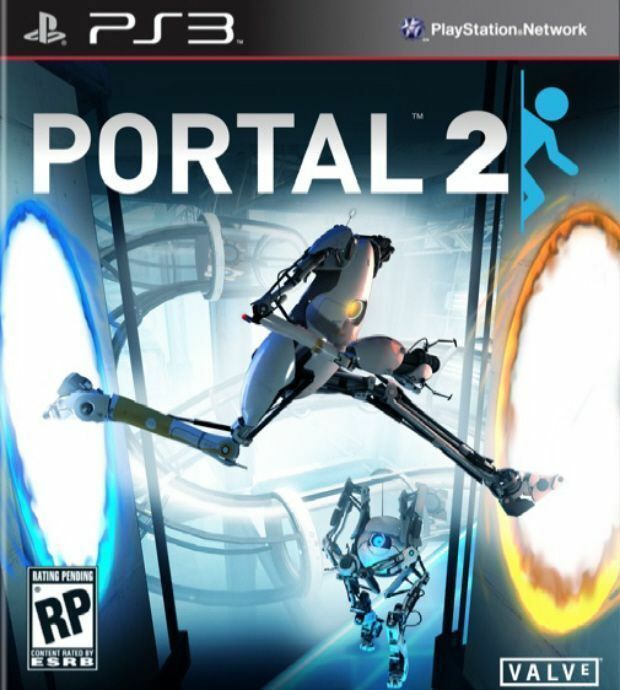 Portal 2, being a full-priced game, had to be a bit longer, and it is. I spent about 10 hours playing through it, and it would have taken me much longer if my wife hadn’t been watching me play and pointing out bits that I’d missed, and I’m happy to report that it is, much like the original, bloody brilliant. GlaDOS is wonderfully insane, the new characters are great fun, and the puzzling is usually just tricky enough to make you feel terribly satisfied with yourself for getting things right without making you pull your hair out. That’s an expression, of course; I keep my hair cut with a #1 guide and therefore pulling it out would take tweezers and a great deal of tenacity. I did find myself terribly, terribly frustrated at times during the middle act of the game, which was a combination of a Big Twist and a “hey, here’s a bunch of new mechanics you need to learn”, but that was also the part of the game that was full on fan-service and was somewhat redeemed as a consequence. Oh, and the final portal of the game – and I will not spoil it here – was the single most “that cannot possibly be the solution, but I’ll try it anyway OH MY GOD” moment I’ve experienced in any game ever. I haven’t played the co-op campaign yet, but I plan to abduct someone and force them to play it with me. The single player mode sets up the rationale for it pretty nicely, and I’m looking forward to another few hours with GlaDOS. Portal 2 did have a side nod to Half Life: Episode 2, which was almost cruel of Valve to throw in, and it did have one fleeting mention of cake, but I will forgive them those two things as long as Episode 3 comes out before I turn 40. You’ve got some time, Valve.